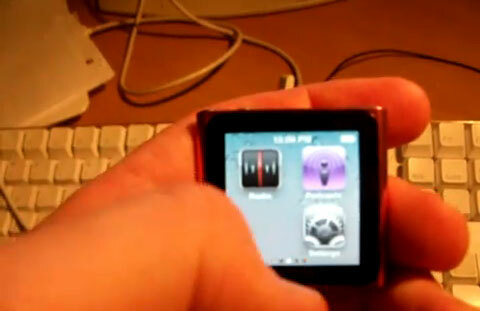 A developer and hacker, James Whelton, has hacked iPod Nano. He was able to remove an app icon from iPod Nanon’s springboard and replaced it with a blank space. He did this by bypassing the checks of Nano OS. You can now watch movies, tv shows and play games on this hacked iPod Nano. I’ve successfully done a basic springboard hack, figured out how to bypass the cache comparison and uncovered some interesting stuff as whats to come on the iPod Nano. The springboard hack is just the removal of a app and creation of a blank space. Not that amazing, but whats important is the bypass of Nano’s cache comparison, which compares any modded SB file and reverts it if it doesn’t like it, this opens up the possibility of hacking and modding, while not adding bootloaders or any of that fun stuff. Just a quick post before I gotto bed, the iPod Nano hasn’t been “jailbroken” as some sites claim, I do not have root access over the device. I did not “install” an app. I figured out how to remove them and insert a blank space into the springboard. What I have also done is figured out a way for the iPod to boot with modified files (eg the SpingBoard Plist), bypassing the procedure it takes to stop this, I hope this will allow us to figure out a way to jailbreak it. I am primarily focusing on exposing some of the (for now) hidden features of the device.